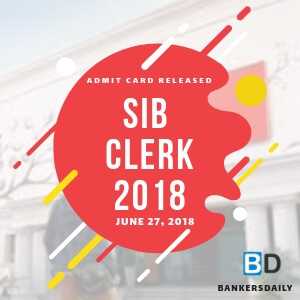 RRB has announced the notification for the post of ALP & GROUP “D” and the registrations for both the exams were unprecedented. The number of Applications for the exams crossed more than 2.37 crores. 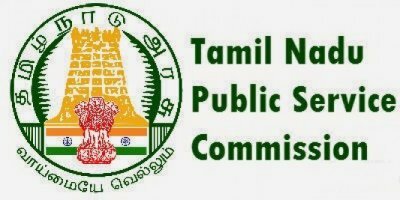 A new notification has been released regarding the Exam dates for the notification of ALP , Technicians & Group “D” Posts. So officially it is released that the CBT for the ALP , Technicians and Group “D” posts will happen only after the scrutiny of the applications and preparations for the conduct of CBT. It is Quoted as below in the official notification released by the Railway Recruitment Board – Interim Notice. So this notification clears the speculations about the exam dates of the RRB ALP , Technician and Group “D” Level 1 posts. 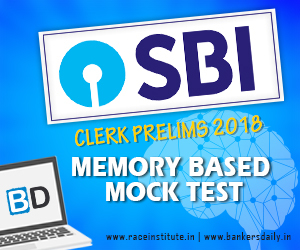 There were speculation regarding the Exam dates of the Computer Based test for the ALP , Technicians and Level 1 Posts but those die at this moment , since the official interim notification was released by the Railway Recruitment Board. 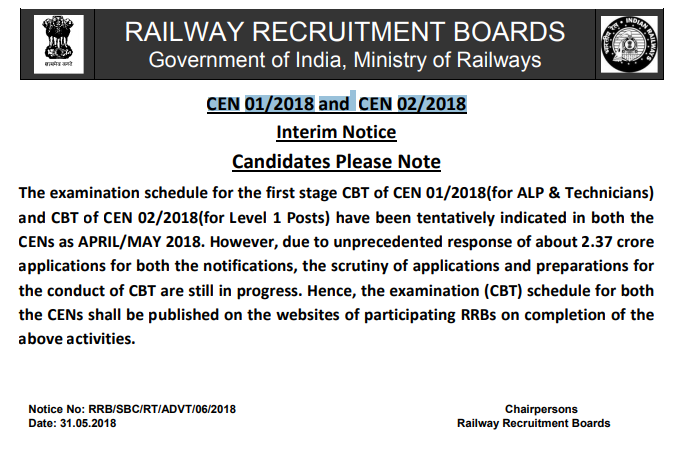 Aspirnats can check the official notification of the RAILWAY RECRUTIMENT BOARD regarding the first stage CBT of CEN 01/2018(for ALP & Technicians) and CBT of CEN 02/2018(for Level 1 Posts) from the link mentioned below. DOWNLOAD – Recruitment Of Assistant Loco Pilot & Technicians – (26,502) Post.